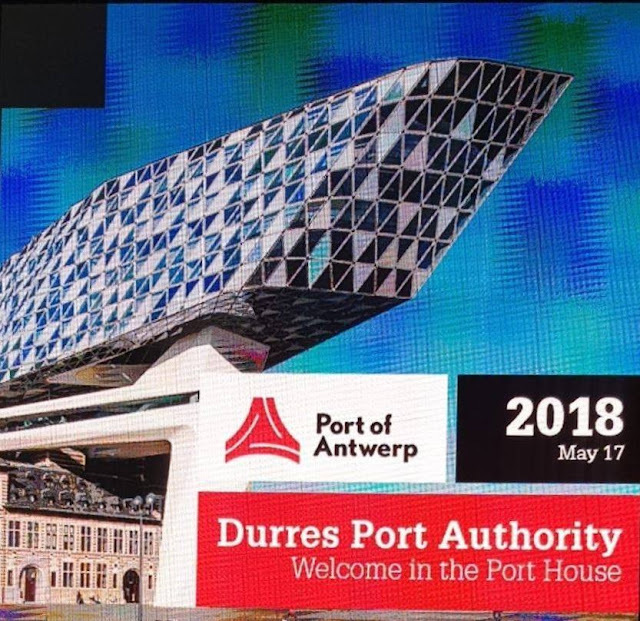 A group of specialists of Durres Port Authority, led by the General Executive Director Afrim Bakaj, are on a daily visit to the port of Antwerp (Belgium). During a meeting with leaders of this port, Bakaj has announced the capabilities and features of the port of Durres. The director also told them about the resources of the city of Durrës in various fields. While the Belgian side has expressed the desire to provide technical assistance and to see the possibility of investment in the port. Belgian counterparts will conduct a visit to the port of Durres in June, which is expected to lead to the signing of a bilateral agreement in several areas. The Antwerp port welcomes vessels of up to 100,000 tons and offers services to more than 800 different port destinations. It has an area of 12,000 hectares and has an annual income up to 300 million euros.